after finishing all of black jack series, I found this book slow and un interesting. Maybe if I would have waited a year or so before jumping into a book that was an interjection to the Black Jack it might have gotten my interest. 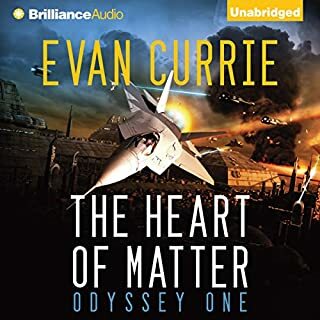 Would you consider the audio edition of The Heart of Matter to be better than the print version? I really liked the book. I found my self listening to it all day, and everywhere. I am hoping that the series will continue. It is brilliantly written with the right amount of technical information. The characters were believable. The hero of the book wasnt some whinny person second guessing himself all the time. He made a decision and stuck with it and in some cases hoping for the best. And it turned out good. some of the charaters seemed to whine when they spoke. And Benjamin everyone that listen/ Reads Sci-fi knows what a HUD is you dont have to say H.U.D everytime it was, making me crazy. The book has to much technical jargon. Need to get to more action A LOT sooner i am only on chapter 7 and bored to tears not sure if i will finish it. 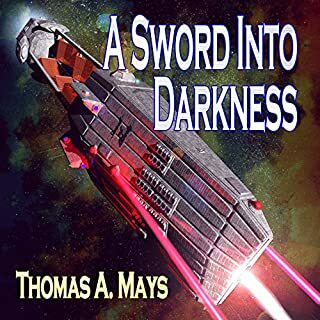 Would you ever listen to anything by Thomas A. Mays again? 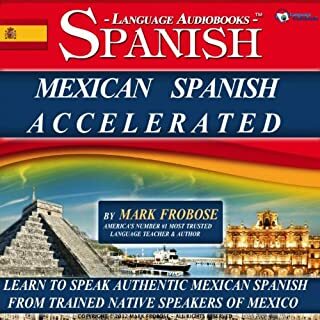 With Si Fi books I like action that is the reason i listen to them. This book has a lot of technical's that is over the top with information. I was disappointed with the end of the story. Riggs didn't like farming he like designing and programming, the other books said that more then once. 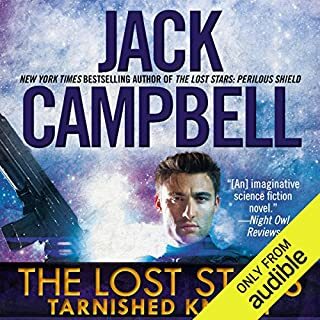 One thing i did like about this last book was we were not reminded over and over again how hard his Marines are to kill. I didnt like that fact that he just left Marvin. Marvin had become his friend and he just abandon him to ? people that would have destroyed him or will because they dont know how to talk to him. He really just abandoned everyone. As smart as Riggs is he basically left the earth to people who could not do what he did to save it and he came to that conclusion towards the end but yet he gave up his position to people who would not be ready if the ancients came. If this story was to continue in the future they would come calling on Riggs to save the earth once again and it would be a struggle every time. 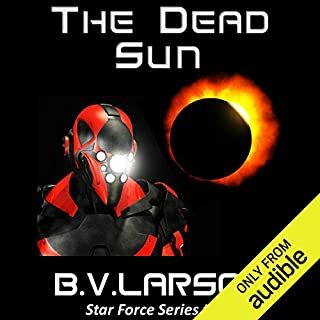 In all that was disappointing to me this was a very good series Larson kept me coming back for the next one. 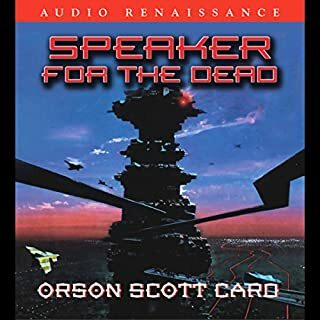 What did you like best about Speaker for the Dead? What did you like least? I like that you got to see the other side of Ender and how he has taken control of his life over the last 3000 years and pretty much accepted who he was is and become. Did Speaker for the Dead inspire you to do anything? It inspired me not to get the next one. especially after reading the other reviews. It's like a waterfall and it has hit the bottom for me. 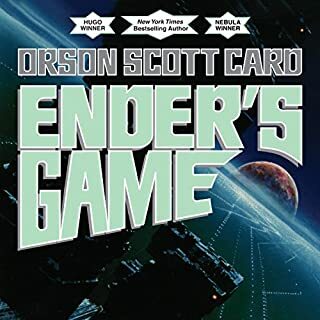 What did you love best about Ender's Game? The Development of the characters was excellent. There was no drawn out romantic relationships between minors. Very well written. The end of the book was a great surprise. Some people might not have been surprised but I was. The audio performance was excellent at first one of the readers sounded like Mr. Smith from the Matrix, but it was still really good. Drew me in. I didn't want to stop listening to it I would come home from work and sit in the driveway for a bit hoping to find a good stopping point. There wasn't one I wanted to keep listening.